Each individual sun-ripened tomato for ORO di Parma comes from the Parma region in Italy, home of the world-famous Parma ham and Parmeggiano cheese. This is where another legendary specialty is grown as well: Parma tomatoes. Exceptionally sweet and refreshingly juicy, they develop their aromatic taste being cultivated only in the open air - in the fertile soil of Parma. 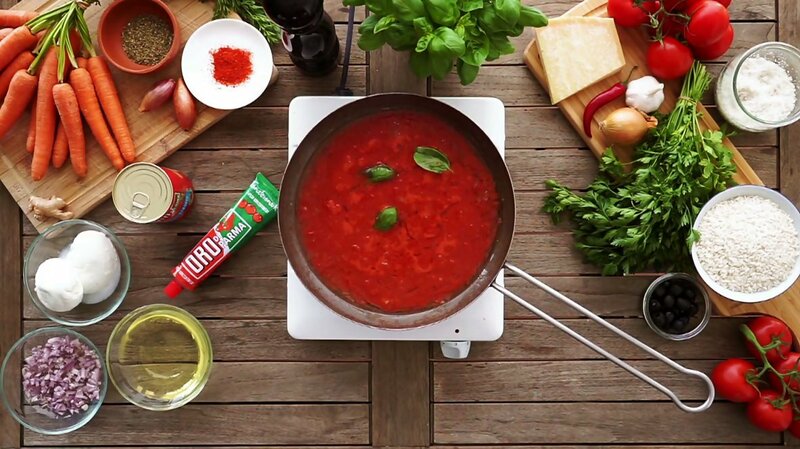 That’s exactly what makes the tomato products used in ORO di Parma so essential for authentic Italian cooking. Our quality guarantee: We never use fast-grown hothouse tomatoes in any of our products. Only the best sun-ripened tomatoes are good enough for the ORO di Parma name. Italian cuisine is full of well-kept traditions. That’s what sets it apart in quality and stands the test of time. We will show you how to create these refined dishes yourself. We don’t just offer you recipes, but also kitchen secrets you can use every day, for more delicous results without any recipe. These culinary herbs are indispensable for the Italian cuisine. More about 5 essential herbs for your Italian cuisine in this kitchen secret. In this Italian kitchen secret you will learn how to make the dough for your perfect pizza by yourself. We are proud of everything we make from sun-ripened Parma tomatoes. We simply can't get enough of the delicious tomato aroma and taste. We, at ORO di Parma, want to share this passion with you. Ever since we first brought the concentrated aroma of tomato paste to Germany over 50 years ago. We have developed many other ways of preparing the most delicious tomato dishes - using the quality and variety of our original Italian tomato products for a truly authentic delight.